By preliminary results of 2018 the volume of the Russian EDMS/ECM systems market reached a point in 52 billion rubles that corresponds to growth at the level of 12%. Similar dynamics should remain and the next years. What important changes and events happened in the Russian EDMS/ECM systems market in 2016-2017? For the last ten years the domestic industry of EDMS passed an enormous way from systems for simple automation of office-work in the small companies to solutions of class ESM, quite competitive at world level, which support also processes of domestic office-work. The last several years are important in development of the Russian market of EDMS thanks to first of all import substitution program. This vector provoked emergence of a large number of domestic solutions which meet criteria and business, and the program. According to Alexander Axelrod, the area director of document flow of Corus Consulting Group, the domestic market of EDMS did not reach "equator" of the development yet, its perspectives are big even in spite of the fact that in most the organizations of Enterprise-level the ECM systems of proprietary producers are already used. An important role is played that big Russian customers, including from an oil and gas sector, show active interest in the domestic developments surprising not only the variety, but also quality. On this background we as the developer of own EDMS of Enterprise-level (EDMS "Sputnik"), we hope that we will manage to save the leading positions in implementation of large projects and in the next few years to transfer to our platform big customers with the number of users about 200-300 thousand people, - Alexander Axelrod noted. With expansion of digital economy the EDMS/ECM systems market continues active growth. The state and business understand that electronic document management is a basis on which it is possible to build further digitalization of all industries. For example, therefore in state agencies process of transition to electronic document management goes in high gear and there are already powerful results. The fact that the state already decided on implementation plans of the national project connected with a digital state administration and volume of its financing demonstrates that the EDMS/ECM market waits for growth. Need of creation in Russia of the digital platform of legally significant electronic document management puts before the market serious calls therefore SED/ESM developers already think over issues of integration into future platform and other solutions, over expansion of functionality. Domestic manufacturers of an EDMS/ECM, and so having strong positions in the country owing to the historical reasons, will receive the additional driver of growth. We are sure that processes of digitalization of economy will become the powerful driver for the EDMS/ECM systems market, - Elena Ivanova, the marketing director of EOS Group says. The market of ESM becomes more hi-tech. Development of digital economy leads to the fact that the Russian companies refuse conservative and skeptical approach earlier inherent to them to new technologies. In discussion of corporate IT initiatives in the field of ECM much more creativity appeared. For example, artificial intelligence technologies as automatic recognition of content, its classification, search and management great enrich electronic document management systems affirm as the agenda, - Georgy Podbutsky, the commercial director of Business Logic company tells. According to Pavel Kashtanov, the CEO of Syntellect company, it is possible to say that the market of SED/ESM in Russia is in a stage of mass replacement of EDMS. Behind technological effectiveness and speed of work with large volumes of data under high loads the old systems concede the places in a race to new and perspective domestic solutions. At the same time, at the heart of selection terms there are not applied characteristics, namely architecture, flexibility and scalability of the platform, - he notes. 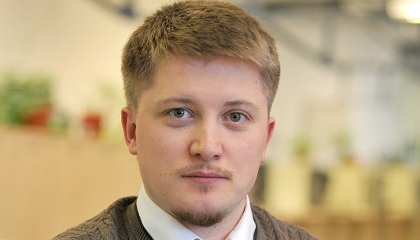 Roman Konovalov, the CEO of ID-Management Technologies company, considers that the Russian EDMS/ECM market steadily grows, mainly due to large and medium business: most the enterprises of the different industries already implemented content management systems or prepare for their implementation. Interest is noticeable even from the enterprises historically far from automation, for example, in the agricultural sphere. But, of course, the companies in the resource-intensive industries, especially federal importance were and remain the main driver of the Russian market of EDMS, such as energy industry, he is sure. They have the wide geographically distributed structure and are regularly forced to exchange large volumes of documentation not only between departments, but also between branches and with the profile ministries. At the same time the volume of "papers" so big – and at the same time constantly growing – that in the absence of automation infinite boxes with documents quickly would fill offices of the companies, - notices the CEO of ID-Management Technologies. 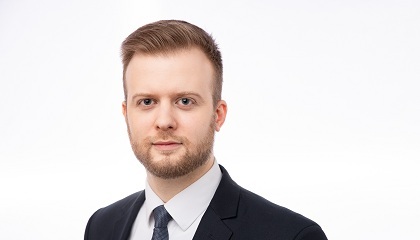 In the long term several years the market of EDMS will mainly grow for the project account of IT support, maintenance of IT systems and their upgrade, Konovalov considers. It is connected, first of all, with the fact that the large companies – main customers of EDMS – began to implement systems for processing of documentation and content for a long time, and now need support and development of earlier installed systems and also connection of add-on modules for the solution of specific narrow business challenges. Other important direction – scaling of ECM infrastructure. The companies connect to the central content management system more and more divisions and branches and as most of them did not pass to cloud solutions yet, completion of IT solutions is necessary for them for scaling, increase in load of a system and connections of new users. Besides, the proceeding import substitution program, in my opinion, stimulates development of domestic goods, nothing inferior to analogs from global vendors regarding functionality and tools for data protection. Long time customers gave preference to the ECM systems from the checked and reliable IT corporations, however now begin to understand that the Russian solutions it is cheaper, simpler in completion – and what is important, their developers always are "near by" and are ready to solve problems in real time if such arise, - Roman Konovalov explains. Vladimir Andreyev, the president of DocsVision, specifies that the EDMS/ECM market is a complex concept, in practice it is separated into separate segments, including the market of classical EDMS, the market of ECM and electronic archives, the market of e-document flow and to some extent the market of BPM. At the same time in the last several years, according to it, the ESM/EA markets and the market of e-document flow grow. EDMS and the related part of BPM stagnate the market. In the next two years this trend will remain. In the complex market growth connected with the growing segments will be observed. Small growth is possible and in the market classical EDMS – it revival will be connected with integration with ESM and e-document flow. The market of BPM will continue stagnation or will fall – it is connected with falling of interest in process management and aspiration to individualization of production and service and also with transition to different flexible methodologies, for example, of Scrum and Agile. On a segment of ECM the advancing growth of cloud solutions for small and medium business is possible, - Vladimir Andreyev considers. In general, the market is very dynamic — new technologies are actively developed, requirements of customers become complicated. Growth of the market happens in many respects due to expansion of a range of solvable business challenges thanks to what borders with other systems are blurred. So, the functionality of modern ECM-and BPM systems closely intertwines. The information products solving problems of digitalization of interaction and digitalization of content compete in one market regardless of their positioning. Gradually the companies which do not manage to adapt to the changing conditions begin to leave. In particular, it is players who positions the system as the classical EDMS solving only office-work problems. Such companies will continue to lose the market share in the nearest future. The industry quickly develops, and at top there are organizations capable to implement innovations in the products, - Artem Permyakov, R&D-директор Directum notices. According to him, in the next 2 years in terms of normative regulation the issue of legally significant long-term document storage will be resolved. There will be a uniform understanding how to provide the legal importance of electronic documents — and consequently, uniform approach for creation of electronic archives. In the same way we wait that the regulatory base for conducting electronic personnel document management will appear, - he adds. The large organizations gradually pass to a format of the digital enterprise and completely transfer the processes to an electronic form. On a general wave of digitalization the EDMS/ECM systems market receives a new boost of development. The translation of documents in an electronic form — the most clear method of digital transformation, many customers begin with it. After the maximum translation of all internal documents application of the simple electronic signature will develop in an electronic form. Further it will allow the companies to pass from simple digitization to business process reengineering, - Artem Permyakov considers. According to TAdviser at the end of 2017 the Russian EDMS/ECM systems market increased by 11% to 46.2 billion rubles. Growth of the market is promoted not only by the movement in the field of import substitution, but also real business need for more functional and scalable platforms on which it is possible to develop quickly management systems for different business processes and to create unique solutions under specific requirements of customers. Most the companies which shared with TAdviser results of the activity in the EDMS/ECM systems market at the end of 2017 showed growth of the indicators (details in the table lower). At the same time, more than a half of participants of rating showed growth above the market. As for preliminary results of 2018, according to TAdviser, market size reached a point in 52 billion rubles that corresponds to growth at the level of 12%. Similar dynamics should remain and the next years. According to Alexander Rodionov, the director of the department of document management systems of Lanit, very serious role in formation and growth of the market is played by government institutions. To honor of the state, federal authorities often are even more progressive in work with electronic documents, than the commercial organizations. Our many state customers exchange already today with us documents (within performance of contracts by us) exclusively in electronic form on all motion cycle of documents. Not all our commercial customers are capable of it. Therefore the state is today, perhaps, the main driver of growth of use by the EDMS organizations, it gives an impulse to search and digitization of new processes, an institution in the system of new document types, - he notes. At the same time, according to him, the market size which is estimated at the level of 50 billion rubles is a little because tools of modern ECM platforms allow to close practically all customers needs in management of unstructured content. 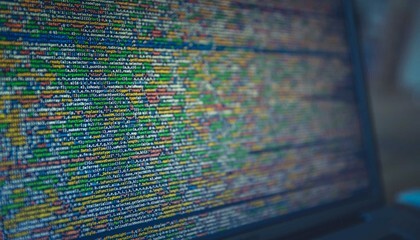 Opportunities for information storage, differentiation of access rights, determination of the traffic regulation, representation, to involvement of users in work with this content, additional processing rules of information — all this is enough to create practically any business application for any applied purpose. 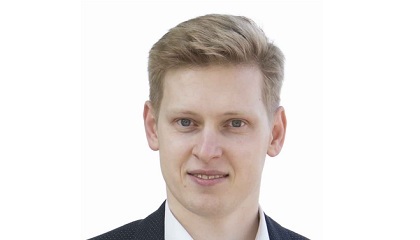 Thus, business "will underuse" opportunities which are born by the ECM platform and, as a result, money does not come to the market of ECM, Alexander Rodionov told in an interview of TAdviser. The CEO of ID-Management Technologies Roman Konovalov considers that the market of EDMS on average grows with a speed of 10-12% the last years. Therefore, proceeding from last year's assessment of the market in 41.6 billion rubles, it is possible to say that in 2017 it crossed a level in 46 billion rubles – and in 2018 will reach a point of 52-53 billion rubles, - he adds. By Georgy Podbutsky's estimates from Business Logic, the volume of the Russian market of ECM in 2017 was about 50 billion rubles. About 20 more billion rubles fall to the share of producers of the adjacent systems anyway affecting automation of the movement and document storage. We predict that growth of the market will remain at the level of 5-7% a year. But by 2020 growth rates will increase to 10-12% a year because of increase in demand for automation of a guidance loop documents, - the expert says. Konstantin Istomin, the chief executive of Directum, estimates the general dynamics of the market for 2017 at the level of 10%. Market size at such assessment is about 45 billion rubles. In 2017 many clients took a waiting attitude that was caused by expansion of the western sanctions and the pause proceeding since 2016 in investment projects. Despite preserving of growth rates, the structure of the market and customer requirement to a system strongly changed. In 2017-2018 a hot topic of digital transformation when integration of new technologies affects all aspects of work of the organization. For this purpose ECM systems capable to effectively solve a broad spectrum of tasks of the digital enterprise are required. The market share of such systems considerably increases while demand on obsolete is reduced by EDMS with classical feature set. Considering the current trends, we expect that in 2018 the market will show more active growth. By our estimates, it will make about 15%, - Istomin concludes. Most of participants domestic EDMS/ ECM- the market, provided in rating, showed growth of revenue at the end of 2017. At the same time, more than at a half of the companies growth above the market is mentioned. The first three places are held by the companies "Business Logic", "Croc" and "ID Management Technologies". More than a half of total revenue of participants of rating falls to their share. According to TAdviser, in 2016 positive dynamics of the Russian EDMS/ECM systems market remained. As well as the previous year it was 10%, at the same time market size in ruble expression increased to 41.6 billion rubles. The continuing growth of the market is influenced both by the general economic recovery, and separate drivers. For the sphere of an EDMS/ECM is the import substitution process gaining steam, a rate on digital economy, increase in mobility and rapid development of new technologies. According to TAdviser, at the end of 2017 dynamics will remain at the level of 2016. The estimates of volume of the domestic EDMS/ECM market provided by some companies from this sphere in general match data of TAdviser. So, according to Artur Ishkhanyan, the senior chief executive of ID-Management Technologies, dynamics of the market in 2016 remained at the level of 2015 – around 10%, and market size was about 41.5 billion rubles. Vladimir Kokhan, the commercial director Digital Design, noted that in 2016 the market showed the further growth which exceeded rates of 2015. Market size, under its assumption, exceeded 42 billion rubles. In 2017 positive dynamics will remain, Vladimir Kokhan considers. Sergey Plaunov, the head BPM&ECM of Croc company, estimates dynamics of the market on activity of customers and development of the corresponding direction of the company. So, at the end of 2016 growth of revenue Croc from projects in the field of an EDMS/ECM reached 14%. According to Alexey Trefilov, the director of the company of ELMA, the market showed stable growth. Our company showed growth of more than 60%, as far as I know all companies leaders have results also steadily good. At the end of this year in the market there was a serious revival - the subject of digital economy is very intensively exaggerated. It is very serious driver for all market of automation systems and SED\ESM systems in particular, - he noted. Vladimir Andreyev, the president of DocsVision company, observed the noticeable growth of sales volume in 2016. About 2017 to tell still early, "a high season" at EDMS – the end of the year. Forecasts – case ungrateful, but as a rule the market in pre-election year calms down so growth can appear less last year's, - he believes. In ESM Group of the Missile Defence company, consider that the market will grow. And first of all it will be connected with achievements in top areas – YuZDO, financial archive, integration. Elena Ivanova, the marketing director of the company "Electronic office systems" (EOS GROUP), notices growth and revival of the market in 2017. The activity from potential clients became higher. There were more projects in regions. The driver in the state market import substitution continues to be whatever spoke, slowly it goes, - she notes. Alexander Bader, the area development director of ECM of TerraLink company, expects growth "percent not less than for 20%". However, I am afraid that, most likely, generally due to increase in sales volume of cheap licenses and the projects limited on functionality. The consumer goods drive, nothing terrible, it is a normal way of development of a human civilization, - he adds. Most of participants of the Russian market EDMS/ECM, given in rating below, at the end of 2016 showed positive revenue development from projects in this sphere. Only at two companies from 16 negative indicators are recorded. At the same time all domestic vendors were in a favorable situation. The company" became the leader once again Business Logic" which revenue from an EDMS/ECM projects grew by 25.7% and reached 1.86 billion rubles. Nearly a third of this amount fell on sales of licenses, two thirds - on services of implementation and support. The companies "Croc" also got into top three and TerraLink. Statistics on projects of participants of rating in 2015-2016 is given in the table below. She turns on data on the number of the begun and completed projects and also information on the number of the implemented licenses or the automated jobs. Company Number of public projects in TAdviser base * Number of projects, start. in 2016. Number of projects, start. in 2015. Number of projects, zaversh. in 2016. Number of projects, zaversh. in 2015. Number of licenses or automated workplace, realiz. in 2016. Number of licenses or automated workplace, realiz. in 2015. Import substitution deeply got into the IT industry and the impact of this process is felt in all its segments. In the field of an EDMS/ECM systems replacement of foreign solutions with domestic goods is one of the main drivers. Like that, in particular, import substitution is called by Victor Weinstein, the CEO of Business Logic company, Vladimir Andreyev, the president of DocsVision, Vladimir Kokhan, the commercial director Digital Design and Artur Ishkhanyan, the senior chief executive of ID-Management Technologies. The state consistently tries to obtain that the register of domestic software started working to the full extent. Pressure upon the companies neglecting the register increases. As a result more and more organizations begin to use the domestic ECM systems. I will note that solutions from the register already have adequate value for business because the license policy of the western companies practically did not change, - Victor Weinstein says. According to Artur Ishkhanyan, unlike 2015 when the trend only gained strength, now she mentions much more market participants. EDMS solution providers note the increase in demand for domestic platforms connected, first of all, with legislative fixing of transition to the Russian solutions for the state organizations and bodies of a state administration. Much it was promoted by start of the Ministry of Telecom and Mass Communications of the Russian Federation of the register of domestic software for support of import-substituting products – the IT systems which got to it are recommended for purchase in the state organizations. Large industry companies with the state participation – main customers of the EDMS systems – assume that in the nearest future they also should refuse foreign platforms for benefit of the Russian solutions. In this connection, many Russian IT companies including we, develop own platforms for EDMS, - he tells. According to Sergey Plaunov, the head BPM&ECM of Croc company, among drivers of the market remain a course towards import substitution in a public sector and existence of sanctions according to which the western vendors are forced to refuse updating and rendering technical support services on a number of the implemented electronic document management systems. However considering that replacement of the existing large-scale system is accompanied by high costs and risks, upgrade it is possible to begin gradually, for example, updates of the database and transition to open source, in particular, on PostgreSQL. Croc now just works on the similar project in the large distributed company, - he adds. Alexey Trefilov, the director of the company of ELMA, a main growth driver sees a flag "Digital economy". The subject is very serious, undertook it strong, very much I hope that the question will get good implementation and support. What is important, thanks to active lighting in media and at thematic conferences it is already possible to speak about small effect of the program. Subjects of "digital economy" and "digital transformation" though in terms of contents did not bring anything new - all this under other names was more than once discussed - gave to issues of automation of business novelty and introduced the fresh ideas, - the expert noted. The era of digital economy which beginning is officially announced by our government at some point will inevitably turn from words into reality, and our industry it will concern too, - Alexander Bader, the area development director of ECM, TerraLink company added. Alexander Nazarov, the sales director of Haulmont (Haulmont), considers that society takes new steps to a digital era every year and becomes information society. We see including as the state sounds trends and sets an example, mass electronic services — "Gosuslugi", "Налог.ру", etc. successfully work. Business aims to implement new technologies to be competitive in the industries, - Nazarov says. One more obvious driver of the market of EDMS – rapid development of digital technologies for business in Russia. According to Artur Ishkhanyan, use of modern instruments of storage and data processing in EDMS (a blockchain, Big Data, AI) expands functionality of solutions in the field of processing, standardization and data analysis (BI), and are even more often used by EDMS as corporate data warehouses. In systems instruments of data visualization appear. Already now can be seamlessly integrated by EDMS with the analytical systems of the company, and in the future, in my opinion, it will lead to release of convergent solutions for complex work with all data types and content of the organizations, - he notes. The ESM Group of the Missile Defence company calls the driver the general readiness and requirement of the market for automation of legally significant document flow (YuZDO). About 50/50 projects where such interaction is made either in the enterprise, or with external participants meet. It not only about exchange of documents with partners and use of the electronic signature, here requirement at the level of full-fledged mechanisms of integration which allow to reduce as much as possible manual transactions and to provide the continuity of end-to-end processes, - say in the company. Much total care of business in Mobile urges on market development. As Artur Ishkhanyan, the senior chief executive of ID-Management Technologies notes, today 4.8 billion people – and this more than a half of the population of Earth – are active users of mobile devices, and it is possible to predict that by 2020 the digit will grow to 6 billion. Naturally, tablets and smartphones become an ordinary element of IT infrastructure of the companies. At the moment the concept of BYOD (Bring Your Own Device) which means enjoys special popularity that employees use own devices for working tasks – the company management does not need to spend funds for purchase of a mobile equipment. As a result continuous use of mobile devices for operational receiving and execution of tasks, including with documents, created the whole industry which services Mobile for business and includes development of means of protecting of corporate data, design, mobile application development, content providing, - he tells. Political uncertainty enhanced risks of use of foreign solutions in the territory of Russia, plus they became very expensive. If till 2016 cloud EDMS including import, violently developed as service, then now there is a problem of their use in the territory of Russia (and Russian — abroad). But clouds — all this the driver, especially for individual users of EDMS, - Sergey Evsikov, the director of "Ascon System of design" says. - Thanks to the same websites with state services, people make out passports, pay taxes, receive references from housing and public utilities in electronic form. Cloud ECM computing extends and supported at the state level. The driver, it is a barrier - it is an intense economic situation, Mikhail Haskelberg, the chief executive of First Form considers. Many companies leave the market, and those that remain – reduce investments and control finance tightly. Many for the first time begin to estimate efficiency of the business processes, to look for methods of their optimization. And means for this purpose act as SED\ESM system. But that in such conditions to start the new IT project, it is necessary to prove its effectiveness in detail. Therefore only those systems which really increase business performance are demanded, - he says. Strangely enough, but import substitution can be also a barrier of the market. According to Vladimir Andreyev, the president of DocsVision company, need to urgently implement support of domestic infrastructure complicates possibilities of investments into perspective innovations like artificial intelligence. Vasily Babintsev, the marketing director of Directum, adds that unreasonable pro-active import substitution which risks to turn into end in itself to the detriment of efficiency can also become a barrier. Nadezhda Kochetkova, the evangelist of "1C: Document Flow" in 1C company, notes that as a barrier serve restrictions of the legislation. For example, regarding transition to interaction by means of use of electronic documents (not the electronic copies, namely the electronic documents created and existing only in electronic form, signed with the electronic signature) and the risks connected with the equipment of long-term safety of such documents. Also, according to Nadezhda Kochetkova, as a barrier often serves the psychological factor. For example, "reinsurance" of the companies in transition to e-document flow and application of the electronic signature. For a number of the companies small judicial practice regarding use of electronic documents as proofs in court, causes internal barriers and interferes with transition to e-document flow, - she says. Process of involvement in e-document flow of partners is other example of a barrier. The companies which came to understanding and need of use of e-document flow face unwillingness of use of e-document flow by partners. With respect thereto the companies are forced to implement separate projects on their involvement and motivation. In "ESM Group of the Missile defense" carry resistance to changes from end users to barriers of the market. Any innovation demands from the participant of process of reorganization of thinking, development of a habit to the interface, trust to a system. And here it is very important that implementation was well planned at all stages. The stage of commissioning of a new system is always indicative. When you provide primary training, it is easy to see these emotions of users. If the project was organized competently if the customer considered balance of internal interests and could inform of the idea of implementation all levels of users, and the contractor of the project – realized the convenient and modern solution in adequate terms, then a system quickly gets accustomed, - tell in the company. Sergey Evsikov, the director of "Ascon System of design", adds that for most the commercial organizations electronic document management is the infrastructure, supporting business process, but not the basic. The companies occasionally think that implementation of EDMS will not bring notable dividends and any fatal changes. State structures where document flow often is a core activity, on the contrary, fear to break the usual course of things and to increase transparency of processes. According to Artur Ishkhanyan, the senior chief executive of ID-Management Technologies, the lack of the uniform standard, regulations and insufficient unification of electronic document management systems in the Russian companies becomes the main barrier of the market. So, the staff of industrial enterprises got used to use, in addition to standard reports, many engineering documents: for example, drawings in the AutoCAD program. It complicates transition to the electronic workflow system. In 2016-2017 there were important legislative changes which will change approach to implementation of IT in state structures radically. In 2016 there was an order of the Government of the Russian Federation of July 26, 2016 No. 1588-r which obliged Federal executive authorities and state non-budgetary funds to transition to the domestic office software. Besides, very powerful spur to the market was given by the additional requirements to the office software approved by order of the Government of the Russian Federation No. 325 of March 23, 2017, and which followed in July of the same year methodical recommendations about transition of state agencies on domestic to software, approved the Ministry of Telecom and Mass Communications. It is possible to tell, the thunder burst, federal, regional and municipal bodies of authority and management began to react and, in turn, to publish orders for subordinated state unitary enterprise, state budgetary institution and municipal unitary enterprise. It is very important that in the published methodical recommendations quite real values of target indicators are set. Measures and for ensuring this process with financing are taken. Of course, never financing will be sufficient for fast and complete transition, but to begin process and systematically to move – enough", - Vladimir Andreyev, the president of DocsVision company notes. Vladimir Kokhan, the commercial director Digital Design, adds that these changes proclaimed a general course towards failure from paper carriers and providing services in electronic form. In spite of the fact that these regulating documents concern a limited circle of public authorities so far – compliance to these requirements, according to him, is an important selection term of SED/ESM both for territorial subjects of the Russian Federation, and for the companies with the state participation already now. The Digital Design company one of the few domestic developers took part in a pilot project of the Ministry of Telecom and Mass Communications of the Russian Federation on transition of federal executive authorities to use of the domestic office software with the products of SDU "Priority" and "The Protected Mobility" and already successfully confirmed compatibility with domestic DBMS, operating systems and office suites, - he says. Dmitry Golosovsky, the head of marketing of InterTrust company, sees that from state agencies requests for solutions EDMS which would provide import substitution of the existing foreign platforms amplify. Considering the legislative pressure of regulating authorities, it can become the main task of the state organizations on the near future, he believes. In fact multiplatform EDMS which does not depend on the applied basic software and provides to customers an opportunity to select that IT infrastructure which conforms to requirements in the field of import substitution is necessary. A system should be in the Unified register of the Russian programs for electronic computers and databases, - Dmitry Golosovsky adds. Sergey Plaunov, the head BPM&ECM of Croc company, notes that emergence of new criteria of inclusion of software including electronic document management systems, in the register of the Russian software, in fact is toughening of requirements. For example, there were requirements to operating systems at which should work included in the register of software as in a server, and client part – it should work at least on one systems from the register (Linux variation) and Windows. Besides, the web client of the electronic document management system included in the register of the Russian software should support several Internet browsers, at the same time two - from the register. In particular, when we were engaged in development of the new version of the Corporate system of electronic document management (KSED 3.0), we initially developed its krossplatfomenny. This version of a system is completely Russian product which is under construction on experience and practices Croc in plot area of the large ECM systems on thousands and tens of thousands of users, and can be used by the Russian state customers for the purpose of import substitution. Now we finish preparatory work on application for inclusion of a system in the register of domestic software, - the representative tells Croc. Vasily Babintsev, the marketing director of Directum, adds that at the expense of a general course towards import substitution the share of foreign ECM platforms in the market decreased. The rate on digital economy gives to the Russian IT market in general and to the EDMS/ECM systems market in particular the huge potential and many new opportunities. Electronic document management, rendering state services in electronic form, development of portals - all these directions actually are elements of digital economy, and in our country these technologies quite correspond to world, considers Elena Ivanova, the marketing director of the company "Electronic office systems" (EOS GROUP). The rate on digital economy without fail will cause further changes. Forecasts are obvious: it is avalanche growth of volumes and types of digital information, involvement of all employees in intensive electronic communications, digitization of "paper" and activation of the accompanying business processes. And all these trends will be forced to consider EDMS, - Elena Ivanova adds. One of the most important events of the last years which influenced also the Russian market of ECM, certainly, is acquisition of division of corporate content of EMC Dell by OpenText company, in particular, of Documentum product line. As Artur Ishkhanyan notes, the senior chief executive of ID-Management Technologies, this strategic partnership between the former competitors showed the accruing tendency to market consolidation. Now the vendor continues to update the solution (in 2017 there was a new version – 7.3) and makes it more available to users who could refuse commercial databases for benefit of open source. Alexander Bader, the area development director of ECM of TerraLink company, adds that acquisition of OpenText of a product line and business of Documentum highly will affect moods and expectations of users. First of all, of course, users of a line of Documentum as OpenText not only officially announced the intentions to continue development of products of this line will win, but also already started accomplishment of the promises. Those companies which consider acquisition of SAP products and OpenText for control automation by the content will have new opportunities and also will be forced, in connection with import substitution policy, to treat the choice of these systems even more seriously, deliberately and responsibly. What, undoubtedly, will very positively affect then and quality of the made project decisions, - Alexander Bader says. In terms of intercorporate document flow in a year there were important changes in the field of regulation of e-document flow. As Vasily Babintsev, the marketing director of Directum explains, there were new formats, plans for transition to electronic service records and agreements with employees, a set of the legal acts specifying practical aspects of electronic exchange. The recent attacks of cryptoviruses provoked splash in interest in EDMS because of opportunities of the centralized storage of corporate content. Sergey Evsikov, the director of "Ascon System of design", in particular, says about it. According to him, before implementation of EDMS content legally belongs to corporation, but upon it "is spread" on hard drives and other storage locations. At an attack of a virus on jobs these data are not protected in any way, they are lost. Centralization allows to provide effective protection of one specific point and to make data backup. However, often importance of some event what became these attacks, is overheated and leads to the fact that response is excessive. There is a risk that the strengthened protection against such attacks can block normal work. The workflow system, failure from paper should make work of the organization simpler, but if to go too far in protection against the hypothetical attacks, it will be more difficult to work with EDMS, than with paper. In our solution mechanisms and instruments of the built-in protection which are effective including for protection against cryptoviruses were initially put, - Sergey Evsikov notes. If we look at evolution of electronic document management systems, then 10 years ago they closed only office-work tasks. There was a considerable expansion of a range of internal tasks about 5 years ago, the companies began to resolve issues of intercorporate interaction. In the next 5 years we expect that transition to MKDO will become mass. The legislation in the field of electronic exchange and long-term storage of primary documents will develop. The corporate sector will be occupied by domestic solutions (proprietary and Open Source), including cloud. Thanks to digital transformation there will be more electronic content less paper. Interaction will be tsifrovizirovanny — will appear more processes which do not have the dotsifrovy history of application. Further distribution will be gained by chat-bots and mechanisms of artificial intelligence in systems. The number of information systems at the enterprise will be reduced, more and more processes based on SED/ESM will be automated, work with Big Data, artificial intelligence, machine learning, a blockchain will develop. Exchange of documents will be performed more and more in electronic form. There will be an opportunity to pass completely to work from mobile devices. The mobile device will be used not only as the device for work in web clients of systems, but also as the tool, for example, for recognition of the document according to the photo with the subsequent registration in a system. These changes happen smoothly and naturally as to the place of users of systems and heads the generation which got used that the mobile device is their main working tool with respect thereto will come to the forefront convenience of interfaces, use of UX technologies and other modern methods of creation of convenient applications comes. I think, first of all, understanding that there is an ECM system, in principle, as such considerably will change. Perhaps, the separate ECM systems will disappear at all. Besides that the general understanding that an ECM system is the uniform corporate service ensuring functioning with both unstructured, and poorly structured information more and more will extend, it is possible that its interface almost completely will hide behind functionality of business systems of type ERP CRM, HCM, EAM, etc. I believe that the picture of the ECM market and representation of users about what is an ECM system considerably will change after OpenText issues the convergent solution integrating opportunities / technologies of the solutions OpenText Content Server and solutions of a line of Documentum, which now, as we know, OpenText. Also the specific weight of the solutions having the high level of standardization and readiness for application that will change a vector of projects from development to adaptation issued directly by vendors will increase. In the closest years of cardinal changes in the market will not occur. Still big projects on transition from EDMS to ECM platforms over which different services will be built on will be implemented. But it is impossible and to exclude that within the next 10-15 years there will be a certain tectonic shift and other content management systems will appear absolutely. Perhaps, the concepts "content", "content platform", "ECM service" also will consign to the past. But the minimum in the field of ECM will last for all of us for 10 years of work. And of course, it is necessary to prepare for the future: study a blockchain, artificial intelligence, the content analytics and other latest technologies, prepare the solutions and the business for change of reality. It is difficult to predict for such terms in the modern world. The markets exist in the agile mode now – from one revolution to following. Obviously to one – the market will grow many times, paper document flow completely will consign to the past. The market of ECM it will become unambiguous even more mobile, cloud, borders of application of ECM systems in business processes of the organizations will even more extend. The role and demand of storage systems of electronic documents will grow. In the next one or two years the artificial intelligence will be already applied in ECM systems. The ECM systems will play a crucial role in the main trend of the last years - digital transformation of the organizations. EDMS of a corporate class will allow to create a common information space in which electronic documentary interaction of all employees, divisions and branches is performed in the distributed structure of the organization, to provide the mode of end-to-end document flow and end-to-end business processes between all structural elements. Document flow will turn from a specialized recording system of documents into service of documentation of all business activity in the organizations, the center of scheduling of information taking into account the information systems given from a set and also the key supplier of data for deep comprehensive analytics in BI systems. Such system will offer new opportunities among which are of special interest an intellectual component of ECM which will allow to automate completely routine transactions and the pro-active analytics based on processing of enormous amount of data from the different systems in real time and helping the organizations to implement quickly competitive advantages. Without full-fledged ESM digital transformation of the organization will be impossible. The EDMS/ECM will be developed by new services of communications for involvement in digital process of interaction of different information streams. The market matures. I hope, in 5 years will come to nobody to mind "automate office", No, I do not suggest to refuse documents - I rather about approach to an issue of automation. The increasing number of customers understands the need for automation of business processes and to the correct use of documents in these business processes. These are very important and positive changes, it is sure, in the future such correct process thinking will become a norm. In the market there are always leaders the using modern technologies to the maximum, and those who use the potential of technical means only slightly, often haphazardly solving small local problems. In general, it will be fair to note that today the lion share of implementation projects of ESM\SED – all this the same standard contract management, the entering and outgoing correspondence and organizational and administrative documentation. The ELMA company actively propagandizes the process approach and implementation of ESM\SED of systems in terms of business process automation. So when the document is only a process artifact, but is not considered as a central object of automation. Such projects and customers, of course, meet quite often, but in many cases we should carry out serious work on reorganization of consciousness, priorities and approaches to automation. However, positive trends in recent years are and is valid, implementation of ECM systems even more often is beyond management of documents, moreover, I will note that to us from the West approach of creation of "business applications" gradually reaches. I would select two things which are capable to change the market. First, it is a blockchain — trend technology decentralized confirmation of legitimacy, importance and integrity of the document. Now we hear about a blockchain in the context of cryptocurrency hype, but at the technology the broadest spectrum of application. First of all it came to the financial sector because there replacement of the third-party third authority confirming legitimacy of transaction by the mechanism which saves from the excess intermediary is of particular importance. Judging by the speed of development of blockchain technology will begin "move" to industrial industry solutions, the relations in the enterprises soon. Their integration into EDMS looks is very perspective. The blockchain is essentially other method of protection of documents on the basis of building of the protected chain of data. Here not each document separately is protected, but all chain, and you cannot pull out or replace the created document imperceptibly once, without having destroyed it. Yes, the electronic signature protects the document from changes, but does not protect from a situation when this document from EDMS is withdrawn. In classical EDMS can destroy the document without trace, the blockchain of it does not allow to do. Therefore, for example, notaries actively look narrowly at technology. Besides, the market will be changed also by integration of EDMS into DLP solutions. Customers even more often expect from EDMS built-in solution protection from date leak, though initially it was separate class systems, and enough expensive. Within 5 years the share of use of the Russian software and Open Source in the EDMS projects will increase, at the same time the share of the western, proprietary software will steadily decrease. I think that the main change which will affect the market of ECM in the next years is connected with the fact that a part of systems will not be demanded by clients. The main requirement of customers of EDMS is a user-friendly interface and a fast response of a system already now. And need of set of services for users will in the long term be added to these two requirements. Therefore those EDMS which do not work in this direction now most likely will just stop the existence. At the end of 2015 the Russian EDMS/ECM systems market in ruble expression grew by 10% and reached a point in 37.8 billion rubles. In comparison with 2014 growth of the market slowed down, but it is not essential. First of all the market was influenced by general economic factors. Besides, reduction of number of new implementations and growth of number of projects on development of earlier installed systems was observed. At the end of 2016 TAdviser expects growth of positive dynamics. Sales in the market grow, drivers which stimulate development of the Russian EDMS/ECM systems market prevail over barriers. Opinion of experts concerning estimates of dynamics of the market at the end of 2015 dispersed. Someone speaks about growth, someone about recession. But if to look at open data on revenue of market participants from ECM projects, then it is possible to notice that most the companies at the end of 2015 were in a favorable situation, and at some growth of indicators was very impressive. About indicators of 2016, representatives of the Russian companies working at the market of EDMS and ECM systems speak with optimism. Sergey Plaunov, the head BPM and ECM of CROC company, notes positive dynamics on the market in 2015, referring to results of the company. "Revenue of CROC in the EDMS/ECM direction grew enough considerably at the end of 2015 – by 48% in comparison with last year", - Plaunov explains. As for forecasts for 2016, judging by activity of our customers and also on market situation of labor resources the EDMS/ECM market does not stand still despite crisis and the general trend to reduction of IT budgets. Our business also develops, in particular, now we expand staff of personnel, only this way it is possible to correspond to dynamics of development of already supported long-term projects and to work in parallel on new, - the representative of CROC adds. According to the company Business Logic" IT (Group), the Russian EDMS/ECM market in terms of money grew in 2015 by 8-9% and made a little more than 37 billion rubles. Our forecast for 2016: growth remains within 10%, but the structure of the market for benefit of licenses and implementation services of the Russian ESM-systems which will force out foreign products significantly changes, - Victor Weinstein, the CEO of Business Logic says. According to Alexander Nevinchany, the director of the department of portal solutions of CORUS Consulting Group, the market of EDMS in 2015 showed positive dynamics. Of course, growth was less, than in 2014, but it is explained by market saturation. Primary need for electronic document management systems is already satisfied and focus is directed to scaling of solutions and automation of other departments in the companies, - he notes. Vasily Babintsev, the marketing director of Directum, in an interview of TAdviser told that on his subjective feelings, the market stood after recession. It is confirmed also by our statistics. In comparison with 2014, in 2015 almost by 1.5 times the number of new projects was reduced. But at the same time their scales grew: the number of the licenses falling on average on 1 new project grew by 45%. Considerably the number of jobs and within projects for development of already implemented systems grew. In a total amount of the sold licenses of 60% it was the share of development projects, - the expert explained. Sergey Kuryanov, the director of strategic marketing of DocsVision, says that in 2015 in currency expression in a segment of software there was a falling according to different data from 30-50%, and in ruble – from 5 to 15%. At the same time, in 2016 in the company observe positive shifts: in the first quarter – in growth of a flow of requests, in the second and third – in gradual sales growth. The fourth quarter, according to Sergey Kuryanov, can close year with positive growth both in rubles, and in currency in relation to pre-crisis 2013. Vladimir Andreyev, the president of DocsVision, arguing that the Russian market of EDMS rather mature and sharp changes on it does not happen, also notes a certain revival in 2016. Probably, the pent-up demand of last 2 years began to work. Very many tenders for expansion and replacement of the available systems, in particular, on substitution of the western platforms are held. Generally, 2016 looks so far much more optimistically, than previous, - the expert believes. Alexander Nazarov, the sales director of EDMS THESIS of Haulmont company notes that according to the company, in 2016 the market of EDMS began "be defrozen". Svetlin Savov, the development director of FTS Russia, assumes that dynamics on EDMS/ECM implementation projects in 2016 will remain at the level of last year. Elena Ivanova, the chief of the department of marketing of EOS Group company, speaks about insignificant recession in 2015 and the beginning of growth in 2016, first of all due to redistribution of interests of customers from the western software on the Russian. "Here undoubted drivers – import substitution and the register", - Ivanova says. Participants of the Russian market EDMS/ ECM- systems showed multidirectional revenue development. At 3 companies which indicators of activity are known to TAdviser negative dynamics is recorded, 9 companies were in a favorable situation. The first place, as well as a year ago, Business Logic borrows. For 2015 revenue of this company in the EDMS/ECM direction grew by 48% and reached a point in 1.5 billion rubles. The Croc company was at the second place. It is interesting that positive revenue development of this participant also made 48%. The third place was taken by Terralink company, having shown impressive growth in the EDMS/ECM market for the last year - for 343.4% to 827.4 million rubles. However, here It should be noted that indicators of the company are provided totally across Russia and Kazakhstan. Among the companies which provided to TAdviser data on the number of the implemented licenses or the automated jobs at the end of 2015 two are selected - 1C and Directum. The first for the reporting period managed to implement about 40 thousand licenses for the solutions in the field of document flow. The little indicators at Directum company are lower. At the same time, at the last serious growth of the implemented licenses at decrease in total number of new implementations is noted that can speak about increase in scales of projects. Below information on the largest customers of some market participants in 2014-2015 is provided. The majority of drivers which stimulate development of the Russian EDMS/ECM systems market are characteristic also of all domestic IT market in general. It is first of all a trend on import substitution and the register of the Russian software, cloud computing and also process of scaling or replacement of outdated IT solutions. Also the number of factors which positively affect the market of EDMS includes a course of the state towards failure from paper carriers, requirements of the organizations for reduction of cost value of business processes and increase in efficiency of core business. Elena Ivanova, the chief of the department of marketing of EOS Group company, calls import substitution a strong driving force for very dynamic market development. According to her, the high potential for the market is put also in close attention of the state, in support of the Russian software and developers. Dynamics in 2015 is the recession, not significant, but nevertheless. In 2016 – the beginning of growth. And first of all due to redistribution of interests of customers from the western software on the Russian. Here undoubted drivers – import substitution and the register", - Ivanova says. One more driver, according to her, this job enrichment, solved by the systems of such class and change of a portrait of users. So, for example, now often the head wants to control and be completely in processes. In mobile applications too the user's portrait strongly changed, now in addition to heads also middle managers use such applications. "All this affects also required functionality and of course gives other volumes of licenses", - the chief of the department of marketing of EOS Group explains. Oleg Pashinin, the director of practice of ECM of AT Consulting company, calls the main driver of the market — a course of the Government of the Russian Federation towards failure from paper carriers and a fashion on electronic devices for an information access and to documents. Besides, according to him, at the same time driving mechanisms for the Russian companies and barriers to the international companies became the cost of systems (including because of influence of ruble exchange rate), decrease in budgets of the Russian companies because of economic downturn and import substitution. The president of DocsVision Vladimir Andreyev the main driver of the market sees need of scaling of solutions both regarding loading and the number of users, and regarding a variety of processes. "Awareness of these requirements and factors of import substitution result in the increased requirement Russian an EDMS/ECM of platforms", - Andreyev says. Alexander Nevinchany, the director of the department of portal solutions of CORUS Consulting Group, as the main drivers of the market calls three factors: cloud computing, import substitution and expansion of the opportunities which are earlier implemented by EDMS. According to him, document flow from a cloud provides the new level of mobility and data availability and also the continuity of business processes. "Growth tendency to the choice cloud EDMS should be noticed", - the representative of Corus Consulting adds. As for expansion of functionality of already installed solutions, here, according to Alexander Nevinchany, the reason of growth consists in the following: if looked at a system earlier how on an office-work automation method, then now more and more different departments are involved in work with the solution, thereby providing growth of interest in intercorporate exchange of documents. "Including we will note active workflow automation of legal departments", - he adds. According to Alexander Bader, the area director of ECM of TerraLink company, the needs for reduction of cost value of business processes remain the main drivers, in a type of specifics of a subject, as well as a year ago, increase in efficiency of core business, a possibility flexibly to react to continuous gain of requirements of regulators of business. Requirement of reliable information support of administrative functions of management personnel too did not get to anywhere thanks to what our industry lived, lives and will live. And, maybe, will also be most alive than others, - the representative of TerraLink notes. Ruslan Shakirov, the CEO "MiTek, considers that the driver of the market of EDMS is financial crisis. "When profitability of business falls, receivables grow, cash gaps appear – all this forces heads to reduce costs and to manage more effectively internal processes. And here ECM systems receive new phases of development since is one of key tools of process optimization and work of each division of the enterprise. Today using ECM our clients (who are in a trend) save the 10-ki and 100-@ millions of rubles a year, - he explains. One more driver, according to the CEO of MiTek, is a support of electronic document management at the level of public administration. As Ruslan Shakirov notes, the state motivates heads more and more to use EDMS and if initially work of systems was estimated on personal experience by generally young and especially advanced heads, then now even especially conservative managers began to use ECM systems actively. Victor Weinstein, the CEO of Business Logic, says about the general technology pressure (connected with development of technologies) which in the market of ECM leads to the fact that the companies already in the practical plane reflect on transfer of all dokumento-focused processes which are supported by paper, in a digital form. Transition from specific management of paper and its storages to electronic images of documents provide ECM solutions. And the state provides "legitimacy" of electronic documents: reports in FTS can be handed over in electronic form, courts accept documents with the qualified electronic signature. In my opinion, bureaucratic obstacles for circulation of electronic documents are already eliminated for 80-85%, - Weinstein tells. The main barriers which slow down development of the Russian EDMS/ECM systems market are sanctions and economic problems. Existence of sanctions forces to refuse the western vendors updating and rendering technical support services on a number of the implemented electronic document management systems. Considering that replacement of already implemented large-scale system is similar to a natural disaster on costs and risks, that most of customers, having appeared in such situation, try to continue to live by any methods on those platforms that are already implemented, - Sergey Plaunov, the head BPM and ECM of CROC company explains. – However the obsolete systems implemented many years ago, and which ceased to meet the requirements of the customer, certainly, are upgraded, or replaced including solutions based on Russian or open-source of platforms. We watch this process and on the basis of our experience of large projects we prepare now the updated solution KSED 3.0 which will be able to meet the high requirements for loading and scaling, but will not contain any western software in the basis. Speaking about economy as about a market barrier, Alexander Bader from TerraLink notices that in the current conditions of the enterprise are forced more, than ever, to select priority projects proceeding from investment opportunities. Vladimir Andreyev, the president of DocsVision, agreeing that recession of economy is the main barrier of the market, adds that in 2016 it already not so we will feel, how in previous years. Dmitry Shushkin, the deputy CEO "ABBYY Russia", notes that market development directly depends on how the modern systems in the field of EDMS and ECM help to increase efficiency, to increase labor productivity of employees and, as a result, to improve financial performance of the company. However, according to him, at low growth of budgets on IT, in general on the market the share of operating costs, including of support of the existing systems grew. They often demand investments in foreign currency, and it leads to the fact that the companies are less ready to invest in new projects in the field of EDMS and ECM. In FTS Russia the main obstacle for market development call slow development of understanding of potential of the modern ECM systems and use of advanced technologies. For example, using ECM it is possible to organize this corporate portal or to provide external access to storage to suppliers, at the same time observing data security. Other example – Capture technology. It not simple scanning and warehousing of files in the folder, and smart document classification using key tags and metadata. The processed file goes to storage where automatically contacts other documents on a subject, the client, the project etc, - Svetlin Savov, the development director of FTS Russia notes. It should be noted that a number of experts do not see barriers to market development of EDMS and ECM systems. Today already nobody doubts need of application of an EDMS/ECM systems both for corporations and at the enterprises, and the state organizations, and the market of solutions is in turn widely provided as foreign, and domestic goods, – they note. During the poll in September-October, 2015, TAdviser asked the companies to assess perspectives and a situation in the EDMS/ECM market in 2016. Opinions of market participants were shared. Believe in EOS Group companies that in 2016 decrease in the market in a commercial segment and stagnation in a public sector can wait for us. "By 2016 – decrease will continue, in a commercial segment especially. As for state structures, either stagnation, or small growth in connection with transition on domestic software and import substitution policy are possible here", - Elena Ivanova, the marketing director of EOS Group believes. "In 2014-2015 the market of EDMS was in a stagnation status. Doing the forecast for 2015-2016, we have no bases to believe that the trend will change for the better". ELAR corporation considers that in 2016 market development will continue since process of complication of content continues. "I think, the situation in the 2016th will look approximately as follows. The Russian companies which are a little tied to any software, and relying on practical tasks of customers will be the winner. Market development will not stop as process of complication of content does not stop (VoIP, multimedia, services of instant messages). Means of "intellectualization" of EC will be relevant: automatic document classification and data, clusterings, content analysis, advanced search, etc. ", - Dmitry Shmaylov, the head ECM of ELAR corporation notes. The SoftBalance company considers that at the optimistic scenario the market can grow by 20-30%. "Indicators of 2016 will depend not only on financial and economic factors, but also on a foreign policy situation. At the optimistic scenario, against the background of a stable rate, it is possible to expect growth of the market by 20-30%, the pent-up demand should affect", - representatives say SoftBalance. In September-October, 2015 TAdviser predicted that at the end of 2015 the Russian market EDMS/ ECM- systems will show positive dynamics, however growth will be a little less indicator of 2014 – at the level of 9-10%. Thus, it was announced that at the end of year market size can reach a point in 37.8 billion rubles. Small decrease in growth is connected with general economic country situation. At the same time significant recession of interest in the solutions EDMS/ECM in the market is not observed. Besides, rather large number of the projects implemented on foreign solutions where calculations for support and licenses are made in currency remains. According to the head of project office "The First BIT — Paveletskaya" Georgy Ivanov, the company expects growth of the EDMS/ECM market within 15% in amount-based calculation (in rubles) at the end of 2015. "This dynamics is significantly higher than the market and is caused by strong influence on increase in intra organizational processes and business in general. Also growth of number of implementations by 25% because small and medium business began to be engaged more actively in optimization of internal processes is predicted and to be interested in the systems of the class EDMS/ECM", - Ivanov considers. Tatyana Povolotskaya, the director of management of business solutions and custom development of Softline company, notes that at the end of 2015 the market will show moderated (within 10%) growth in a ruble equivalent. "It will be promoted also existence of new projects which number after all grows, and rather large number of legacy projects on the foreign systems, support and which licenses are nominated in currency", - Povolotskaya adds. Do not see falling of interest in the products EDMS/ECM and in DocsVision company. "In 2015, strangely enough, despite the general deterioration in an economic situation, we do not see significant decrease in interest. For 2015 we predict small growth, around 10%", - the president of DocsVision Vladimir Andreyev says. Alexander Bader, the area development director of ECM "Terralink", assumes that the market all the same will show growth though, most likely, it will be also not such noticeable, as in previous periods. The deputy CEO of FTS Svetlin Savov, considers that failure from large projects and transfer of budgets for the next year already negatively affected dynamics of the market of ECM, but, in general, the ECM segment at the end of year traditionally will remain in plus. "We do not expect significant growth in indicators in ruble expression. Most likely to assume growth at the level of 5%. At the same time such indicator can remain on long-term perspective, depending on duration of the crisis phenomena in economy", - Savov says. According to the CEO of Business Logic Victor Weinstein, in view of the burst crisis, the company planned rather modest growth at the beginning of 2015, and IDC predicted for 2015 significant recession of the Russian market of software for content management at all (more than for 40% in dollar expression and about 10% in rubles). Alexander Nevinchany, the Head of Department of basic technologies Microsoft Corus Consulting of Group, believes that growth of the market at the end of 2015 will be similar to an indicator of 2014. "Due to such crisis manifestations as devaluation of ruble, one may say, that the market of EDMS will show similar growth in rubles in comparison with 2014", - notices the representative of Corus Consulting. Elena Ivanova, the marketing director of EOS Group, notices a downward tendency of number of projects and to market reduction in terms of money. "About results of year to speak early so far, the activity of customers goes just in the fall and in December. Therefore it is worth summing up the results of 2015 at the beginning of 2016. Now only the trend is visible – the market was reduced in terms of money and in number of clients projects. The solvency of clients also decreased. It was predicted and expected", - the marketing director of EOS Group says. Dmitry Shushkin, the deputy CEO "ABBYY Russia", telling about the forecast of results of 2015 gives these researches IDC. "It is rather difficult to predict dynamics of the market in the conditions of a rapidly changing economic situation. However if again to return to the research IDC, then it is possible to focus attention that the market will be transformed in the nearest future. Changes will affect first of all factors which stimulate the market. For example, among key factors of IDC noted: state programs of electronic document management, need of expense optimization for difficult economic conditions and also relevance for the organizations of acceleration of acceptance of management decisions. It is interesting that the factor "need of expense optimization" was only in the 14th place the previous year. In general, according to analysts, in the market it is necessary to expect a regime of economy and transition to projects with shorter cycle of payback. To such projects, implementing solutions in the field of stream input of data just belongs. The systems of stream input of data allow to reduce costs for document handling more than by 50% and at the same time quickly to return investments into the project – ROI makes from 3 months to 1 year", - Shushkin tells. As for the market of EDI, growth and development is predicted here. "Only for the first 6 months 2015 of 17 large Russian retail companies (this number includes X5 Retail Group, OBI Russia, SELGROS) implemented 42 EDI messages. The volume of all electronic document management in five years, since 2011, grew by 10 times - from 6 million messages to 62.5 million in 2014. And e-document flow volume by August, 2015 already approached the level of the 2014th", - say in E-COM company. At the same time penetration of e-document flow will grow and extend on border areas between the key markets of State companies, the telecommunication sector, retail, production and logistics, the insurance and banking sector. According to TAdviser, at the end of 2014 the Russian market EDMS/ ECM- systems, including implementation services, grew by 12% and reached 34.4 billion rubles. At the same time, approximately the fourth part of this amount is the share of sale of licenses, the rest – of services. In comparison with 2013 market growth slowed down a little. Let's remind that according to TAdviser, in 2013 growth was 20%. In comparison with other segments of the business software which were estimated by TAdviser the EDMS/ECM market showed the highest growth. For example the market of CRM systems at the end of 2014 grew by 10%, and dynamics of the Russian market of ERP for the same year was +4%. The Russian market of the EDMS/ECM systems shows quiet development and passes into a consolidation stage. Positive dynamics remains for the project account on maintenance and also upgrade and scaling of systems. According to the companies which are engaged in development and deployment of the systems of this class, the market is saturated, and some integrators speak even about oversaturation. "Analysts unanimously note today transition of the EDMS/ECM market in Russia in a consolidation stage. Primary demand for the systems of this class is already met today, and in the companies in which implementation projects of EDMS are already implemented, there is a scaling and automation of new tasks", - Vladimir Andreyev, the president of DocsVision notes. According to him, 2014 was rather difficult, the market practically did not grow (growth, by our estimates, was no more than 10%), though did not fall. The SoftBalance company considers that decline of ruble in 2014 had a strong impact on the market of automation. At the same time, many companies suspended investments into information systems. The Croc company speaks about the market overstocking. Vadim Ipatov, the deputy CEO of InterTrust company for business development, notes that in the EDMS/ECM market the same problems, as everywhere — budgets contract, in such conditions customers are not ready to begin in large-scale long projects, to invest in development something essentially new. Assessment of volume of the Russian EDMS/ECM market and dynamics at the end of 2014 The First BIT company practically matches data of TAdviser. "At the end of 2014 we estimated growth of the market within 13% in relation to 2013. Our assessment of the market makes 33.9 billion rubles (23% – licenses, 77% – services). You should not forget that this year was very intense in a type all of the known events, but this dynamics allows to look into the future of the systems of the class EDMS/ECM safely. Also there is a wish to note that most of players of the market wait for more decisive steps regarding state policy of import substitution as 60% of the market are represented by the domestic software", - Georgy Ivanov, the head of project office "The First BIT — Paveletskaya" says. Estimate dynamics of the market at FTS slightly above. "According to us, 2014 was successful for ECM integrators and developers. On average in the market growth of an EDMS/ECM segment was about 15%-20%", - Svetlin Savov, the deputy CEO of FTS considers. Separately it is necessary to mention the market of EDI. According to EDI providers, this market has the huge potential for development. "It is possible to tell that the level of penetration of EDI and e-document flow in Russia is no more than 3-5% of the general market potential", - say in E-COM company. On revenue indicator from EDMS direction/ECM for 2014 the leader is "Business Logic" (ITCroc Group "). the first five also included the companies EOS GROUP, "CORUS Consulting" and "ID Management Technologies". Most the companies showed the revenue growth advancing market growth. The greatest dynamics is year-on-year recorded at the companies Haulmont, Naumen and "SoftBalance" - 300%, 212.5% and 121.3% respectively. Separately it is necessary to mention 1C. In 2014 total revenue of all franchisees of 1C from sales of licenses and also implementation services and to maintenance of EDMS "1C: Document Flow 8" made 2078.4 million rubles. From them 418.2 million rub were the share of sale of licenses, 60.2 million rubles - on maintenance of EDMS and about 1600 million rubles - on implementation. In comparison with 2013 growth of revenue was 67.5%. SED/ESM-sistem developers use various platforms. So in an arsenal of Business Logic there are solutions on platforms Alfresco IBM Notes/Domino JBoss, IBM FileNet and AbbyyFlexiCapture. Solutions of EOS Group company are based on Microsoft SharePoint, Microsoft.NET and DBMS Microsoft SQL or Oracle. THESIS EDMS of Haulmont company is the cornerstone the platform CUBA. The line of ECM solutions of TerraLink is implemented on the platform OpenText. According to TAdviser, in 2013 the Russian EDMS/ECM systems market, including implementation services, grew by 20% to the volume of 2012 to 30.72 billion rubles. 75% of the market were still the share of services and only 25% for sales of licenses. In general the market saved high growth rates during the period from 2011 to 2013: from 20 to 35%. Unlike other segments of the market of business software where, according to TAdviser, small recession (BI systems) began or growth stopped (ERP systems), the market of EDMS and at the end of 2014 should show two-digit growth: the main driver of this market - a public sector where projects in the field of automation of electronic document management are implemented with high intensity. In number of projects the public sector share in the market of EDMS makes up to 25%, in terms of money - up to 40%. Market participants point also to some of its hidden part, especially it concerns the projects in a public sector connected with a state secret and security which quantity to measure quite difficult. As Gleb Lukin, the CEO of Letograf company considers, "to estimate the actual size of the market of EDMS rather difficult as in the country many the closed projects, information on which is not disclosed by the parties, and those numbers which are given by players of the market are implemented are often very approximate". On Russian the EDMS/ECM systems market there is a great number of strong western players, including such platforms as Microsoft SharePoint IBM Notes Documentum, OpenText and others. Distinctive feature of the market is presence also of the EDMS strong local developers, in particular, EOS GROUP (systems Case (EOS Group), Delo-Web and others) Directum DocsVision, 1C (the platform 1C: Document Flow 8, ELAR corporation (solutions for electronic archives), InterTrust (CompanyMedia) and Business Logic (IT own development enters into group of companies,- Logic of ECM). As the western players experience difficulties with disclosure of data on revenue in the Russian market and the number of implementations, exact assessment of their share in local market is difficult. Positive dynamics of the market is confirmed also by data on revenue of system integrators. Among those companies which submitted data on revenue in the market of EDMS (including implementation services in rubles including VAT) the gain in 2013 of rather previous year made from 15% and above at most the company. Let's add that "integrator" for TAdviser is also the system developer if implements implementation projects independently as, for example, Business Logic or EOS Group. The 1C and Docsvision have an excellent business model, for example, (the last also almost completely performs implementations through partners, the general gain of its revenue for 2013 - 23%, and the volume of the average transaction grew by 33%, the largest contract of 2013 - 12 million rubles, according to the company). As for 1C, according to data of the company, in total revenue from sales of licenses and implementation services and to maintenance of systems on the 1C Platform: Document flow of all franchisees of the company grew in 2013 by 19.1% to 1.24 billion rubles, from this amount directly only about 20.5% were the share of sale of licenses. The greatest revenue from ECM projects among separate integrators in 2013 was shown by Business Logic, CROC, EOS Group, InterTrust, ID Management Technologies. Own base of projects of the TAdviser Center for an EDMS/ECM systems contained more than 3170 projects for September, 2014, the previous year it made 2383 projects (+33%). In nine months 2014 220 projects were added to base. Their rather small amount is connected with the fact that many projects will be closed under the end of the year and information on them will be published later. For comparison, with 2011 647 drafts, in 2012 - 476 projects, in 2013 - 509 were introduced to base. Victor WeinsteinBusiness Logic Po nashim otsenkam rossiysky rynok ECM za 2014 god vyros na 25-30%. V osnovnom eto svyazano s realizatsiyey masshtabnykh proyektov po tirazhirovaniyu resheny v krupnykh organizatsiyakh, vklyuchaya gossektor,-kommentiruyet, generalny direktor (IT Group), - For the known reasons it is difficult to make the forecast now for 2015, but it is precisely possible to tell that due to the general reduction of IT budgets, also budgets will be reduced by systems for management of documents. And in this situation we recommend to our customers to pay attention to the ECM solutions constructed on the open source (OS), for example Alfresco or JBoss". As Alexey Budin commented, the CEO of ELMA company, the Russian market internal passed EDMS into a maturity. "First, as well as any market, it not bottomless and is at the moment a certain percent of saturation. Secondly, there are types of IT products which in a different way resolve issues of the movement of information in the company, and these products take away a part of the market classical EDMS too. But at the same time the market still grows", - the expert considers. Among drivers of growth Alexey Budin noted emergence of new customer companies, substitution of the systems implemented 5-10 years ago and also projects on consolidation of the different systems, for example, in groups. "It is unambiguously possible to draw a conclusion that today already to "classical EDMS" should add something to be up to standard and to compete in the market", - he concluded. The area development director of ECM TerraLink, the member of expert advice of Docflow Alexander Bader noted in the comment of TAdviser that the Russian market of ECM systems is very heterogeneous. Here have the interest as producers of the domestic systems as those who position themselves closer to the western ECM, and those who advance content management systems closer to the Russian understanding of EDMS and also foreign vendors. The market is heterogeneous, the range of proposed solutions is wide, and in each segment - the dynamics, whether it be management of documents, business process management, management of the user experience, etc. "It is considered to be that recently, assessment, average on hospital, looked as 15% of growth a year. Market prospects in connection with short stories of an economic situation, I think, nobody will be able responsibly to give", - Alexander Bader believes. Positive factor, according to him, is that at the market there is healthy demand. "Not very long ago desire of the advanced Chief information officer to have at itself a beautiful western toy was the main incentive of implementation of an ECM system only. Fortunately, today it in the past", - the area development director of ECM TerraLink told. Alexander Bader pointed that for the Russian companies today the most important priority is ensuring economy of their means and resources, both in the field of production in general, and in the field of IT in particular. "I.e. the beautiful wrapper and bright giving give way to detailed calculations and sensible calculation. We know customers who are ready to replace completely at themselves the existing system with an industrial ECM system not only because existing became already morally outdated but because we with digits in hands proved them economy on support, maintenance, development and also capability to solve tasks, new, important for their core business", - the specialist comments. Gleb Lukin, the CEO of Letograf company, notes three key moments which made the contribution to noticeable growth of the market of EDMS due to opening of the new directions of automation. It is the continuing growth of "mobilization" of the population when more and more employees of the most different level begin to work far off. And also universal implementation in everyday life of cloud computing, readiness of technology base for providing a qualitative business environment "in a cloud" and including moral readiness of customers to entrust corporate data to the cloud storage, thereby having reached works with data new level. The third factor - need of modern office workers for work for the unified integrated office environment when the workflow system stops being only the instrument of work with cards and documents, and becomes a certain super environment into which the most different services are integrated: file storage, e-mail, task management system and instructions. Other important incentive is gain of state regulation and the continuing formation of the legislation in the field of work with electronic documents. The regulation of processes of exchange of legally significant documents, improvement of the law on the electronic signature and other expected changes, are considered TerraLink as the positive, providing growth needs for qualitatively new software in the field of content management and services in its implementation. An example is the solution TerraLink xDE for support of exchange of YuZD directly in the environment of SAP ERP that extremely important and is useful for the large companies. It is obvious that the industrial solution such would not be at all it demanded by the market 3 - 4 years ago, Alexander Bader says. By estimates of TAdviser, the Russian market of the electronic document management systems (EDMS) and services in their implementation in 2012 made of 25.6 billion rubles from which three quarters were the share of implementation services and about 6.4 billion rubles – directly for sales of vendors from implementation of licenses. Most the polled market participants confirmed that the market of EDMS grows in Russia at very high rates: in an interval from 2011 to 2013 annual growth of the market is estimated at 20-35%. In many respects it is caused by the fact that for the last few years implementation projects of EDMS became mass, covering the most part of employees of the company. Rather seldom the number of the purchased licenses in projects on implementation of business systems is calculated by hundreds, and in the market of EDMS the account goes on thousands even on average business and the municipal governments, not to mention large business or the federal authorities. For example, in 2012-2013 such large projects as implementation of Documentum in Rosatom (50 thousand users), by Delo-Web within Justice state automated system (48.5 thousand users) were sold in the Russian market of EDMS, in the Central Bank implementation Case (EOS Group) is carried out to two projects) on more than 60 thousand users, in Rostelecom the EMC Documentum system	on 56 thousand users is implemented, in "Sberbank of the Russian Federation" - in Docsvision 50 thousand employees work. Only the EOS Group company together with partners implemented in 2012 separately more than 550 projects of implementations of the solutions of class EDMS with the total number of licenses of 154.8 thousand. Market participants give comparable digits. "I estimate growth rates of the Russian market of EDMS the last two years at 30%. If to speak about market size, then in my opinion it exceeds $200 million", -Alexander Semyonov, the CEO of Corus Consulting told TAdviser. Vladimir Andreyev, the president of DocsVision company, noted that if to be guided by Docsvision system sales volumes, then on average for the last 3 years (2011, 2012, including the forecast for 2013) he can estimate growth of the market around 35-40%. "But it concerns revenues of the company vendor (we will remind that Docsvision does not do own project business). At the same time, the share of income from additional services of our company grows recently: training, examination of implementation projects, designer's service, additional technical support", - he explained. He also considers that the value of project business grows at big rates, than income from licensing of software, and bigger volume is significantly. Vladimir Andreyev estimates the total amount of the market of licenses at $70-140 million while the volume of income from project business approximately three times exceeds the sales amount of licenses, the expert added. Alexander Semyonov believes that the reason of rapid growth of the market of EDMS consists as in transition of the organizations from nominal electronic document management to universal, and that EDMS in Russia "becomes the main instrument of automation of the main business processes". "If the platform is selected correctly, then after implementation there is its expansion towards process automation, connected with purchases, customer relations. Also huge volume adds to work of users with EDMS electronic archive with documentation, including with financial", - he explained. The third factor of growth mentioned by experts, this rapid development of the EDS. As avalanche the number of implementations of EDMS grows in a public sector: here electronic document management systems often become in the center of all IT infrastruktry. "The activity of the state in promotion of the ideas of paperless document flow indirectly affects also other markets. So, for example, the new segment of consumption of the EDMS applications – work with legally significant electronic documents, ensuring completely paperless exchange of documents as inside, and between the organizations arises", - Vladimir Andreyev notes. Oleg Beylezon, the chief architect of ECM of Business Logic company told TAdviser that the essential factor providing the reviving interest in EDMS - expansion of functionality of such systems. An important role, the expert believes, also played transition of the Russian ECM vendors to the platforms of the class ECM giving great opportunities for content management using a "boxed" system that reduces costs for its implementation. Believe in EOS Group, however, that in the next years so strong growth of the market of EDMS in Russia will stop as there is already its saturation, many projects represent upgrade of already implemented solutions. "For example, now mobility topical issues, i.e. gradually there is a transition to work on mobile devices. And users want from functionality of mobile applications of almost same opportunities, as from "fat" clients", - told TAdviser in the company. In uniform base of implementations of the TAdviser Center for all history of observations it is saved up for the end of September, 2013 of 2382 EDMS projects, from them 580 – it is complete in 2011, 411 – in 2012, 254 – in three quarters 2013 (but year is not completed yet, and delivery of projects often happens under the end of the year). By estimates of TAdviser, really in Russia more than 1 thousand implementations of EDMS annually are implemented. As for decrease in number of projects in 2012 by 2011, first, data only on open projects (the name of the customer is revealed) get to base, and, secondly, in base more than 500 implementations of EOS Group, data on which TAdviser has in addition, are not considered. Certainly, the share of platforms of implementations is not comparable to a share of platforms in the market on the total revenue of vendors more likely the first indicator characterizes the level of penetration of the platform in the market. As most vendors does not open proceeds from sales of licenses, to judge indirectly their volumes allows to judge the cumulative number of licenses for all projects in base on implementation of the specific platform implemented for 2012. Apparently from the chart given above, the largest players of the Russian market of EDMS are Case (EOS Group), DocsVision, Directum and other local products. The separate niche in the market of EDMS is also occupied by solutions 1C, in particular, a 1C system: Document flow 8 CORP (only in 2012 on its base more than 280 implementations were performed). It is just that exceptional case in the Russian market business of software when specifics of local business and the legislation defined competitive advantages for domestic developers. However, an essential role is played also by the western platforms - Documentum Microsoft SharePoint IBM Notes/Domino each of them occupies the specific niche. The EDMS large integrators to which share tens of projects of implementations in 2012 fall are ELAR, Digital Design, ELMA, Cognitive Technologies (Cognitive technologies), InterTrust, CROC, Business Logic and also EOS Group which is also engaged in implementation of own products. According to the joint survey conducted by IDC Russia and Business Logic company on number of implementations among the polled companies in the Russian market of EDMS the following systems are in the lead: IBM Notes/Domino (more than 25%), Microsoft Sharepoint (about 17%), 1C: Document Flow (about 14%), Directum (12%). All other products did not overcome 10% a threshold. What EDMS functions in your organization now? During the research also it became clear that organizations in which all departments, very few, only 12% of respondents would be connected to the EDMS system. However, in two sectors, in state and financial, this percent is much higher – 63% and 25%. Most often EDMS is used by secretariat/office, accounting, lawyers and bosses of the companies. Relation of the companies to "cloud" model of use of software alerted: use "cloud" model of only 11% of respondents, and 36% are not interested in this subject at all. It is possible the matter is that "clouds" do not provide enough mature integration tools with corporate IT infrastructure (in particular, with security infrastructure), besides, not all from them rather well adapt under customer requirements. Besides, during the research the so-called "ECM index of a maturity" which estimates penetration and efficiency of use of EDMS of technologies in the different industries was calculated. According to results of a research, the average index of a maturity (i.e. the work of coefficients of penetration and efficiency) among the polled companies made a little more than 40%. At most the companies the index of a maturity differs from mean value a little. The high efficiency is often compensated by low penetration (an oil and gas industry, transport and logistics) and vice versa (public sector). Best of all a situation in the banking sector, worst of all – in power and housing and public utilities. The amount of the Russian market of content management systems including the replicated software products and services in consulting, implementation and training in 2011 was $277.2 million. It is said in the report of IDC. Feature of the Russian market of content management is dominance of the domestic companies which in the majority specialize in products for document management. About 60% of the market controlled five companies: EMC, 1C, "Directum", Cognitive Technologies (Cognitive technologies) and Microsoft. Considerable investments from the government organizations and also large enterprises of the oil and gas, metallurgical, financial and telecommunication industries became the pacing factor stimulating market growth. "Customers consider workflow automation an essential element of optimization of key business processes of the enterprise — the analyst of IDC Pyotr Gorodetsky considers. — Nevertheless, before use of full-fledged functionality of solutions for content management it is still far". The volume of the Russian market of solutions on content management will increase in 2012 more than by 20% due to considerable investments from the state customers, growth of penetration of mobile technologies and also essential volume of already installed accounting systems. Legislative initiatives of the government, such as 63-FZ "About the electronic signature" and order No. 221 of the Ministry of Telecom and Mass Communications setting requirements to workflow systems in federal executive authorities can play an essential role in increase in demand for solutions on content management. The Russian market of electronic document management systems in terms of money is estimated now by experts at 170 million dollars and differs in high growth rates — from 25 to 40 percent a year, by different estimates. It does it very attractive, including for the powerful foreign companies therefore provision in the industry can easily change. Of course, on the one hand in non-saturated market all suppliers, having shown sufficient activity, in principle have great opportunities for development. But, on the other hand, already it is possible to say that the pool of the main players was practically created. Foreign and Russian developers divided the market in terms of money approximately equally so far, however by the number of implementations the ratio is explicit not for benefit of foreign developments. In view of the high cost of the license of foreign programs and also expensive and labor-consuming adaptation under requirements of the Russian standards they are used, generally in the large companies and state institutions for which the question of the price was particularly acute not so. The SMB enterprises are more inclined to apply domestic developments because of their flexibility and low cost, and the situation here will hardly change. However and the large companies even more often address Russian EDMS. The further, the most part of the market will probably be won by the domestic systems: every year they become more functional, are significantly less expensive in implementation and that is very important, are developed specially under the Russian realities. More than 50% of the market of EDMS are the share of a share of foreign developers of platforms and solutions. In terms of money the segment of EDMS is estimated at $115-125 million. The big share of this market (about a third) in is occupied by solutions based on the platform Documentum. The companies which participated in a research developing the systems based on IBM Lotus Domino platform / Notes ("BOSS-Referent" STC OF IRM, "Interprocom Lang", "InterTrust company" ComputerAge), possess 12–15% of the market. Among the Russian companies significant market position is held: EOS GROUP"Lanit", Directum and Cognitive Technologies (Cognitive technologies). More than 5% of the market of EDMS are the share of a share of the system developed by each of the specified companies. Quite strong positions have also the companies Upscale Soft Docsvision, Naumen and "Motive Moscow". In EDMS other solutions created based on platforms IBM, used for development ECM- solutions (Lotus Notes, Content Manager, etc.) and also solutions on platforms for development of ECM-applications of the companies Microsoft and Oracle and solutions of the Russian developers who did not participate in the research CNA are not considered. The specified segment of the Russian market of EDMS is estimated by experts at $45-55 million. Nevertheless, considering that the IBM platforms used for creation of electronic document management systems are widely submitted in Russia, the share of solutions based on technologies of IBM can be much higher than a total share of the polled CNA companies, including due to own developments. In general it is possible to select three main directions of growth of the market for which the new and already acting players can fight. First, it is possible to expect increase in demand from public institutions after development of the corresponding regulatory framework. As the public sector is the defining consumer of EDMS in Russia to whose share about 40% of the market fall, a lot of things depend on what way will elect the state during creation of the developed interdepartmental structure of information exchange. Secondly, the large commercial structures which already for a long time are actively using EDMS, but only in some divisions, aim to integrate the distributed branches in a common information space and to extend successful practice to the enterprise in general. And, thirdly, medium and small business in the last two-three years implements more and more systems of increase in efficiency of the organization of workflow and already realized what advantages it gives. The size of the market of the electronic document management systems (EDMS) in Russia in 2008 was, according to preliminary estimates CNews Analytics, about $210 million. His players do not expect significant growth in the market in 2009, however, as well as serious falling. The public sector remains the largest customer of EDMS in Russia, and hopes for further growth are also pinned on initiatives of the state. Of 2009 players do not wait for significant growth in the market of EDMS, realizing all complexity of country situation. Obviously, it is possible to assume consumption failures in earlier dynamically growing sectors – for example, retail or the industry. Hopes for avoidance of a sharp slowdown are pinned still on a public sector, banks, the telecom and an oil and gas industry which initially "lifted" this market in Russia. At assessment of size of the market of EDMS in Russia experts of CNews Analytics and also respondents – developer companies and integrators – consider the cost of components of a system, service in consulting, implementation and updating of a system and also training and technical support. If according to poll of 2007 the share of implementation services was approximately equal to the system cost (about 36%), then in 2008 respondents specified that the implementation share increased a little – 40% against 35% (system cost). Partly such change was connected with rapid growth of the domestic sector of IT services in general against the background of which considerably and quickly the cost of works of consultants increased. From the beginning of crisis changes in the country customers briskly anticipated that the prices of these services will shortly fall. However upon sharp reduction in cost of professional IT services still did not occur while this market the first gets to a risk zone. On May 14, 2013 the Ministry of Telecom and Mass Communications published results of a research implemented by EDMS in federal executive authorities, 79 departments received on the basis of poll. The research showed that electronic document management is used 74 of them, at the same time in four departments -Ministry of Culture,Ministry of Transport,FTS and FSSP - more than one EDMS are implemented. The Ministry of Economic Development,the Ministry of Finance, Government Office,Presidential Administration itself also the Ministry of Telecom and Mass Communications were the most active users of EDMS. In five federal authorities -FSTEC,FSB, SVR,the Ministry of Internal Affairs and Rostourism – electronic document management is not used at all. The Ministry of Communications notes that according to the order of the government, transition to electronic document management at the organization of internal activity of federal authorities had to come to the end by January, 2012. Thus, as of May, 2013 the order is executed for 93%. 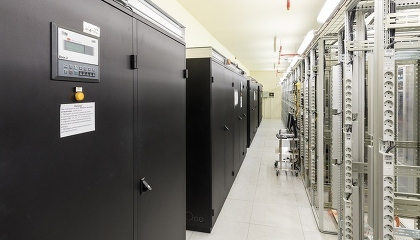 To systems providing interaction of authorities in electronic form -MEDO and SIEI - is connected 17 of the implemented federal executive authority EDMS that makes 21% of a total quantity of departments, said in the report of the Ministry of Telecom and Mass Communications. In addition to them departmental EDMS interact with 18 more IT systems from which three – the systems of Rosavtodor. In total in the polled authorities 57 products EDMS of nineteen types are used. The electronic signature is provided in 50 of the implemented EDMS, however in six cases this functionality is not used. It is not provided at all and the electronic signature in 27 EDMS is not used. In 25 bodies where electronic document management is implemented, also mobile application is had. In May, 2012 the Cognitive Technologies company (Cognitive technologies) conducted a research of the market of the electronic document management systems (EDMS) in public sector. According to data retrieveds, the total amount of the funds allocated for acquisition of electronic document management (e-document flow) by state agencies in 2011 was more than 5 billion rubles. From this amount about 45% are the share of expenses of security agencies. The research was based on information posted on the website zakupki.gov.ru (all 465 purchases from 457 customers were analyzed) and also the data obtained directly from customers of the company. For the purpose of determination of a portrait of opinions of customers of EDMS on systems used by them survey of 276 employees of the state structures which bought electronic document management systems of different producers during the period since 2011 until the beginning of 2012 was conducted (79 respondents from the capital region and 197 of 35 subjects of the Russian Federation). According to data retrieveds, overwhelming number (53%) of respondents expressed negatively quality of work of the purchased systems. More than a half of them said that the main problem of the majority of installed systems is low information processing rate. Weak confidence in safety of storage of documentation does not suit 16% of respondents. And are sure of need of the functions of autoprocessing allowing to automate substantially processing of the entering addresses and to reduce subjectivity at decision making by 28%. Those whom the purchased product in whole or in part arranged was much less – 17% and 28% respectively. About 2% of respondents refrained from the specific answer. In 2012 costs for implementation of automation systems of processes and document flow in a public sector will increase by 40%.